WARSAW — A former Wawasee wrestling coach has until April 4 to get approved for a program that would give him an alternative to serving three of six years behind bars for sexual misconduct with a minor. Joshua M. Vallejo, 29, 1404 Ranch Road, Warsaw, pleaded guilty on Feb. 14 to sexual misconduct with a minor, a crime that at the time was listed as a class B felony. The charge was in connection to incidents that occurred in 2013 and 2014. On Thursday, March 21, Vallejo appeared in Kosciusko County Superior Court 1 for sentencing. 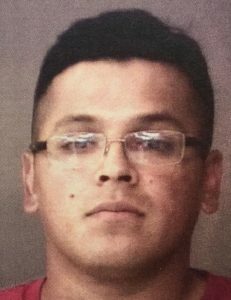 Police reported that Vallejo became sexually involved with a Wawasee Middle School seventh-grader sometime between November 2013 and February 2014 when Vallejo gave the girl rides home and took her out to eat on several occasions. Vallejo received six years with the Indiana Department of Corrections, with three of those years suspended in favor of probation. Cates told Vallejo he would need to report on April 4 for execution of his sentence but that he could use that time to get approved for work release or Community Corrections.